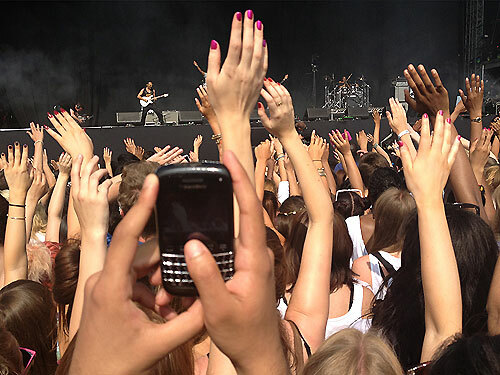 Scorching summer sunshine bathed festival goers at the Queen Elizabeth Olympic Park for this year’s eagerly awaited Wireless festival. An electrifying atmosphere and hyped crowd gathered at the main stage for a taste of a star studded line-up. The day promised to be a mind blowing affair with the likes of Justin Timberlake, Snoop Lion and Frank Ocean to name a few. Conor Maynard opened his set performing some chart favourites and a few covers such as Daft Punk’s ‘Get lucky’ and Swedish House Mafia’s ‘Don’t you worry child’. Wretch 32 followed Conor with a lively performance that had the crowd jumping, and was joined by Devlin for an equally energetic combination. By the time Ke$ha stepped out it was our time to leave the mosh pit and explore the Olympic Park. Miguel was next to perform and the crowd around the stage had increased significantly. Performing ‘Adorn’, ‘All I want is you’, ‘how many drinks’ and more, Miguel’s infectious energy, (running up and down the stage) got quite a few hearts racing and a flash from someone in the crowd got the humorous response ‘that was dope’. John Legend‘s laid back vibe mixed classics such as ‘ordinary people’ with more recent songs, such as ‘tonight’ and ‘made to love’ and mellowed the mood for the arrival of Trey Songz . Giving my favourite performance of the evening with tracks such as ‘bottoms up’ ‘2 reasons’ and ‘neighbours know my name. 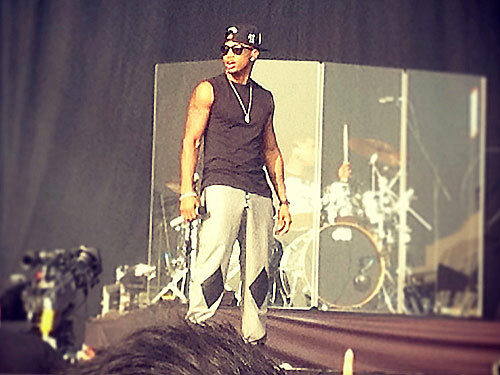 Trey Songz had the crowd two stepping to his new track ‘sensational’. With an almost exclusive female audience going crazy, temperatures definitely rose. A chorus of female screams filled the air when he threw his glasses, hat and shirt into the crowd. Frank Ocean and Snoop Lion performed simultaneously, splitting the crowd into two distinctive groups. Snoop ‘dropping it like it’s hot’ and ‘young, wild and free’ and Frank Ocean seducing the crowd on the Pepsi Max stage with songs such as ‘Channel Orange and ‘Thinking about you’. In my opinion Frank Ocean deserved ‘main stage status’ and I think most of the crowd would have agreed with me. As the sun set on an enchanted crowd Justin Timberlake perked up with a multi-faceted set consisting of incredible dance moves and displayed his versatility as a pianist, guitarist and all-round quality entertainer. When his ‘special guest’ graced the stage – none other than Jay-Z The crowd were estatic with his arrival. Overall, a great day to remember and well worth the aching feet! 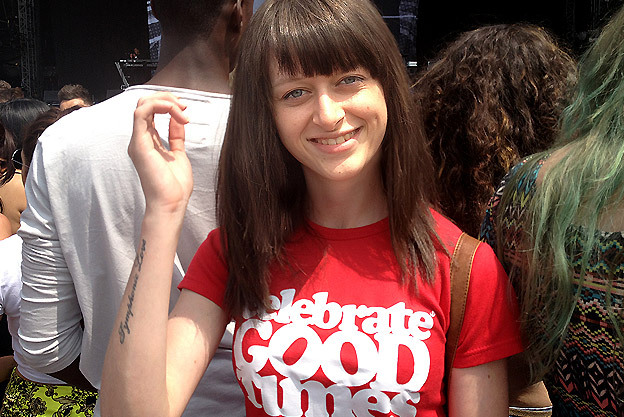 The event had brought together a great selection of artists and a brilliant vibe from everyone in attendance. The only thing that would have made for a perfect day, would have been to put Frank Ocean on the much deserved main stage. Prom season on the way!